MAY 17, 2013 As Pales­tin­ian sup­port­ers across the Mid­dle East were demon­strat­ing in com­mem­o­ra­tion of the nakba, the Ara­bic term mean­ing ‘cat­a­stro­phe’ used to refer to Israel’s estab­lish­ment in 1948, the Mus­lim Broth­er­hood and its Gen­eral Guide Moham­mad Badie issued state­ments to their fol­low­ers laced with con­tempt for Israel and Jews. In a com­mem­o­ra­tive state­ment on its English-language web­site, Israel is described by the Broth­er­hood as a ‘hos­tile ter­ror­ist racist expan­sion­ist mon­stros­ity’ that ‘con­stantly and actively works to Judaize Jerusalem and other Pales­tin­ian ter­ri­to­ries,’ with assis­tance from the U.S. and West. Two weeks ago, a post reported that Global Muslim Brotherhood leader Youssef Qaradawi had arrived in Gaza where he was greeted by the Hamas Prime Minister and called immediately for “Jihad to death” against Israel. 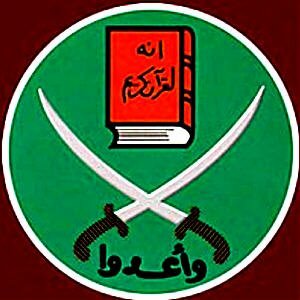 One day later, the Egyptian Muslim Brotherhood staged an anti-Israel rally in, the first such protest by the main backers of President Mohammed Morsi since they rose to prominence in the wake of the country’s 2011 uprising.